Now that the dust has settled on re:Invent, here are four things IT leaders need to know as they embrace AWS for all their computing needs. #1 - Innovation Factory: A Handy Guide To re:Invent Announcements. Since the first re:Invent in 2012, AWS has launched 4,000 new services and features. A flurry of new offerings debuted at this year's re:Invent. While the company announced a total of 61 new services, here's a handy cheat sheet featuring the most important product releases. Figure 1 - 15 exciting products that previewed at AWS re:Invent 2017. 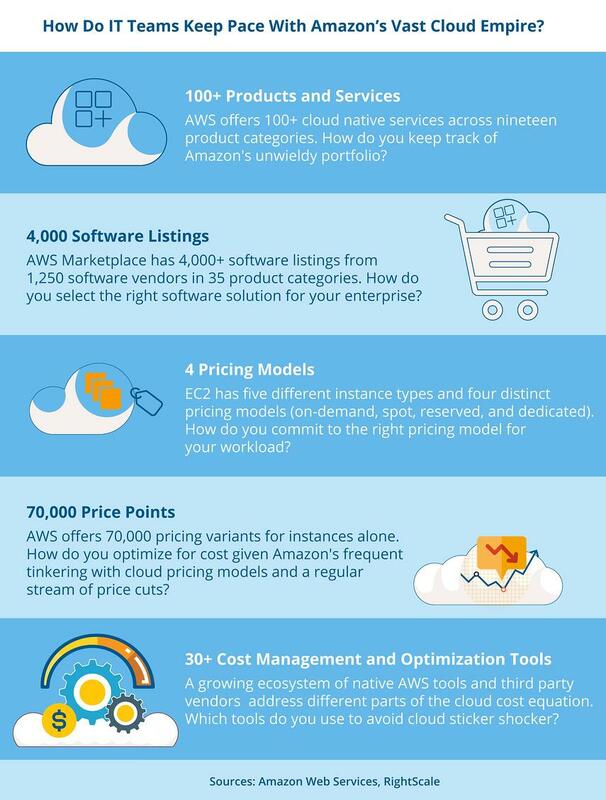 #2 - What Makes Amazon The Largest Cloud Infrastructure Play. Every single day, AWS adds enough server capacity to power a $7 billion global business. AWS operates 16 regions currently and will operate 22 regions globally by 2018. In 2016, AWS bought or leased 8 million square feet of datacenter space across all its regions. Each AWS region has at least two availability zones (AZs) and often more. AWS operates 44 AZs currently and will build another 17 more. Each AZ (datacenter) manages 50,000 to 80,000 servers, putting AWS’s server count between 2.2 million to 3.5 million. A four hour Amazon S3 outage in February 2017 took down 54 out of the top 100 retail websites. AWS has millions of active customers, including enterprises like Capital One, Dow Jones, GE, Kellogg’s, McDonald's, Sony, Unilever, Vodafone, and Time Warner. 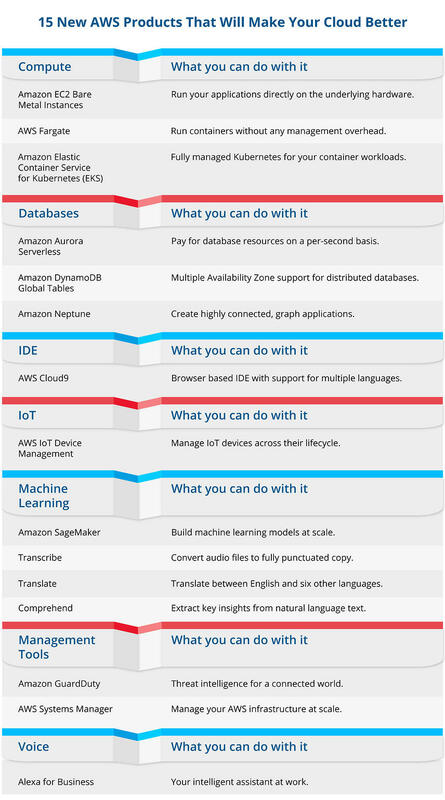 In less than a decade, AWS has built an enviable partner ecosystem. The company works with 2,000+ consulting providers and 1,000+ software vendors that offer every service imaginable. Figure 2 - Five reasons why it’ll be hard to overcome Amazon’s scale and momentum. 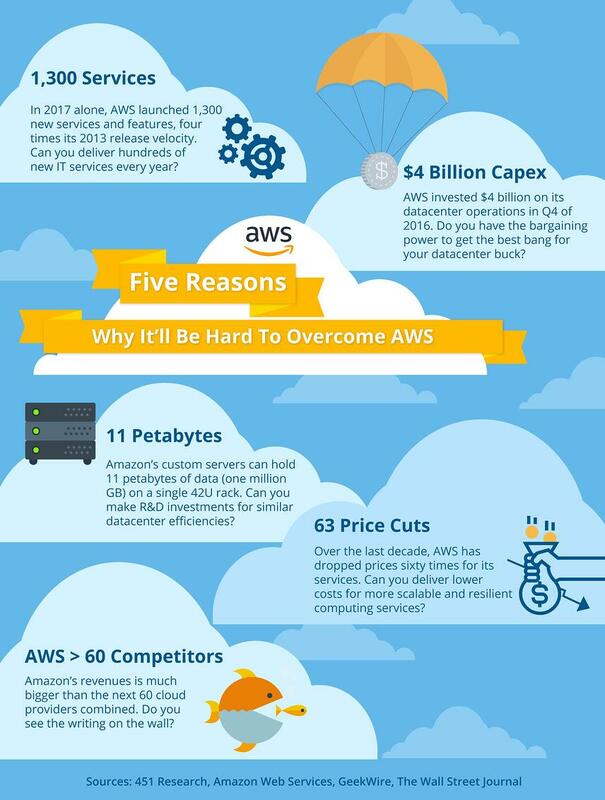 #3 - Why You’ll Need Superpowers To Manage AWS. Figure 3 - It takes a village to navigate and keep up with the AWS ecosystem. So, how do CIOs keep up with AWS? Enterprises will need to recruit product managers whose full time job it is to understand cloud offerings and cost models. Product managers will help enterprises build the right scale and efficiency for specific requirements. #4 - IT Teams: Build Centers of Cloud Excellence. In his re:Invent keynote, Werner Vogels explained why security is everyone’s job. In a continuous delivery model, developers will be central to cloud security. Devs will need to ensure the confidentiality, integrity, and availability of customer data, not just the security team. Should enterprises hire 10x developers who not only write code but handle quality, operations, and security? Alessandro Perilli, GM Management Strategy, Red Hat, begs to differ. Perilli thinks it’s unfair and unrealistic to expect developers to morph into all-purpose IT geeks. The only way to deliver secure, scalable, and resilient IT services is to build functional teams with distinct cloud expertise. 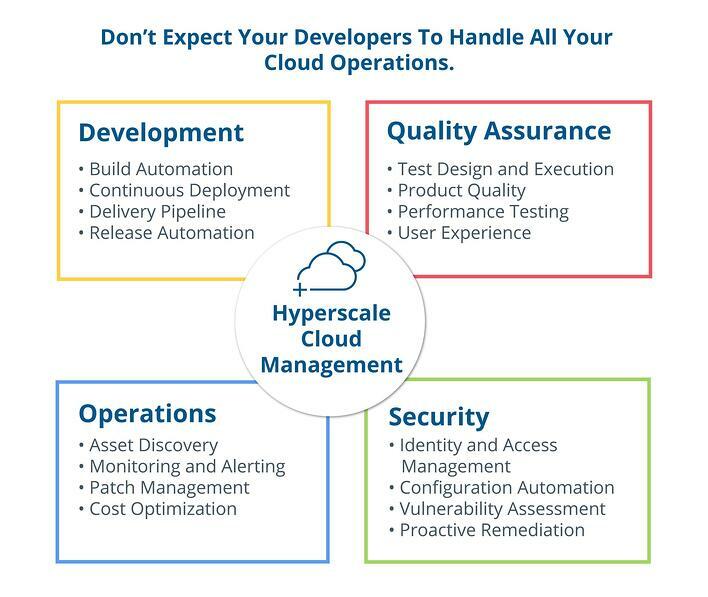 Figure 4 - The four pillars of hyperscale cloud management. Automate Everything. The 2017 State of DevOps report found that high performing IT teams deployed 1,460 times per year. You can’t expect to be a higher performer without automating your cloud operations. Expect to use a combination of native cloud tooling, third party management tools, and custom code to manage cloud architectures. Chaos Engineering. Given that failure is inevitable, chaos engineering is a new way to increase systemic confidence. Expose systemic weaknesses by running chaos experiments in production. This re:Invent video will introduce you to the different levels of chaos for improving system redundancy and fault tolerance. Talent Management. Enterprises without the right resources and skills will struggle with cloud adoption. Invest in training programs for your existing staff and hire new staff with relevant skills. If you don't have the internal expertise, hire service providers to drive value from your cloud investments.